In Connecta everything is geared towards promoting cooperation among our members to create business opportunities and monetize your membership. We promote members to collaborate and we offer all the tools needed for doing so: communications, tracking applications, routing incentive, shipments and payments monitoring, e-freight solutions, etc. The following services allow you to efficiently collaborate with members. 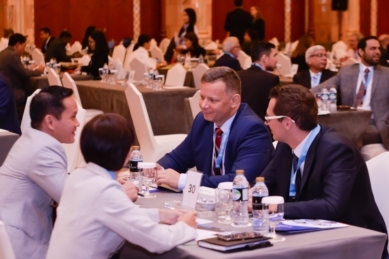 Get in touch with other CONNECTA members around the world to set up business relationships, participate in proposals for international clients, etc. An indispensable communication tool for all Members and their staffs day to day. Available through the Connecta website, your computer, smartphone or tablet. Tailor-made messages center for CONNECTA Members to communicate in private and secure circles for contacts, leads, tenders, quote requests, shipment follow up, pre and post meeting contacts, etc. Every year, Connecta members gather together in a same place to strengthen bounds, share information and discuss about challenges and opportunities in the sector. Assistance is highly recommended to optimize your membership by participating in shared activities and private one-to-one meetings you can pre-arrange with the partners of your interest. In this new technological era it is a must to develop and implement the most advanced tools and functions to make the most of Members networking experience. We believe that we must align our business to IT, not only networking also freight forwarding, and we have made technology our strategy vision. Our features impact on the core of networking: communications, sales, protection, marketing, operations, etc. As a CONNECTA member you have access to our platform to manage your air freight shipments, as well as shipments handled by other means of transport FCL, LCL, Truck. This practical online tool monitors all the operations carried out between the members in order to minimize financial exposure and ensures the fulfilment of the agreements reached between the participants. Send pre-alerts, share shipment files and invoices, follow up with comments, obtain reports, etc. Automatic following up of payments between Members. The payment monitoring system will follow up on your payments with automatic notifications based on your scheduled payment date. Save time and efforts to your accounting and collection departments and assure you get paid faster. You can also get reports of your invoices and payments status. Send, receive and manage Sales Leads between Members. With this application you can manage the references of potential clients through collaboration with other CONNECTA agents to further contacts in origin and destination in order to gain new business. You can share information, track joint operations, post questions and comments, etc. You will receive automatic notifications for your Leads on your email. 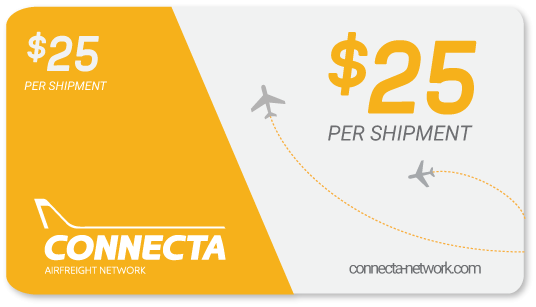 In order to encourage collaboration between cargo agents that form part of our international association, every time that you make a shipment through Connecta you will receive an automatic bonus of 25 dollars. The routing incentives have proved to promote cooperation and business relationships at a very high level. This is really important during Members early membership. It is a great success to see how initial cooperation between Members turns to reciprocal and regular relationships. When introducing your Company to customers, you will have the full backing and support of a global network of freight forwarders, meaning that in terms of coverage, services and rates you will be fully able to compete with any other multinational group. If there is one thing we pay special attention to in CONNECTA it’s the image we project in the market and to potential clients. The reason for this is that we are all very fully aware that in this sector decisions are often made quickly and often the first impression is what shifts the balance. Many small and medium sized freight forwarders fail in one aspect that is crucial in today’s competitive market: Internet presence. In CONNECTA we invest a substantial amount of time and money so clients find you online through our network. CONNECTA is highly visible online and this regularly prompts potential clients to get in touch with us (especially export and import companies)who are searching for transport and logistics services providers. We then refer these contacts to network members who are located closest to these leads. 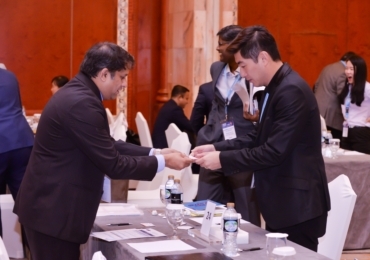 Use your Membership Certificate and customized Brochure to show your global partnership to customers, agents and suppliers. Or to start a new marketing campaign for your company. Share news and stories of interest about your company through the network channels (website news, newsletters, Connectalink magazine, emails) and gain publicity. 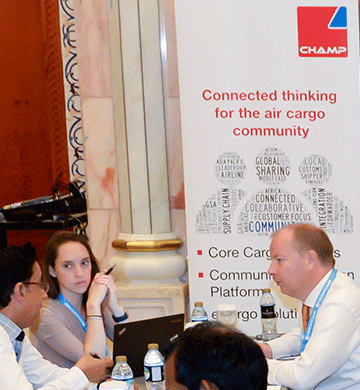 Trust is a key element for long-term business relations between members of the CONNECTA freight forwarding network. For this reason we have a number of protective measures in place that ensure cooperation among freight association members is fully covered. Strict selection of our Members as regards level of turnover, year of establishment, credit risk assessment, payment references, IATA/CASS accreditation, business trajectory, etc. Payment Monitoring System and Payment Alert Procedures to prevent late payments and accelerate their satisfactory resolution. Control and arbitrage. The CONNECTA management ensures that cooperation between members is done with honesty and transparency by mediating and arbitrating to resolve disputes. If we detect any activity by a member that doesn’t comply with these rules the account will be suspended.